The Quadrille division will not be offered at Championships 2015, however teams may do a Quadrille Freestyle for their Freestyle ride. The Championships Information “Goldbook” is currently online. Games will be hosting an International Exchange during Championships East, with teams from the U.S., Great Britain, Canada and Australia. Plan to be at the Indoor to watch the competition on Saturday night! See how we are different! A 340 acre classroom experience...with leather seats! You really can combine college and horses! Follow your passion. Build your future! A place to discover more! Don't miss the excitement of Rolex! Be sure to stop by the Walnut Arena and cheer on the Prince Philip Cup Games competition players. This year's XC course walk will be on April 24 and will leave from the start box. The show jumping course walk on April 26 will again be directed by International Jumping Course Designer and British Pony Club graduate, Richard Jeffery, assisted by Marc Donovan. Check the Pony Club booth on Vendor Row for final times and locations to meet. All friends and family of Pony Club are encouraged to stop by. Wear your Pony Club pin! Several members of the National Youth Board will be helping out with the Pony Club booth this year. Stop by and talk to the NYB members to share you regions successes/struggle with your Regional Youth Boards. The Live Oak Hounds Challenge is a way to encourage clubs and their members to become involved in the sport of Foxhunting. Clubs who get the most members who have not hunted before, or have hunted on a limited basis, to participate in three or more hunts during the season are awarded cash prizes. Click here to access full details on the Challenge. The Award period will run June 1st-April 9th, and the Award winners will be announced by May 1st. Certificates must be postmarked by April 10. Stock up and SAVE BIG! BUY 5 mix and match equine dewormers, and GET 1 apple flavored Ivermectin Paste FREE! Smell the APPLE scent. Taste the APPLE flavor. Deworming made easy! Offer valid 01/05/2015 through 03/31/2015. The annual Hildegard Neill Ritchie Writing contest is open to all D or C-rated Pony Club members. The winning submission will receive a $200 cash prize to be spent on foxhunting dues, hunt capping fees, Pony Club camp or anything related to these activities. Second place will receive $100; third place, $50. The winning entries will be published in USPC News and in The Chronicle of the Horse. The contest award is from a memorial fund established by friends of Ritchie, who was a long-time Pony Club supporter and volunteer. She founded the Colorado Springs Pony Club in 1958 and was its District Commissioner for 30 years. She was Regional Supervisor of the Colorado (now Rocky Mountain) region for 12 years and hosted regional Pony Club camps on her ranch for 20 plus years. She served several terms as a USPC Governor and received the USPC Founders Award in 1989. Ride a draft cross? Interested in competing at championships? Here is an award especially for you! The Draft Cross Breeders and Owners Association is sponsoring the Rising Star Award. This award will be presented to the top scoring DCBOA rider (riding a DCBOA registered horse) in dressage, eventing, show jumping, polocrosse or tetrathlon at USPC Championships, and will be recognized by DCBOA in the form of a trophy. Horses and Riders must both be registered with the DCBOA. Registration and application must be postmarked by July 1, 2015. Registration and membership information as well as the award application may be found. Come join the Sunshine Region for a Universal Experience! 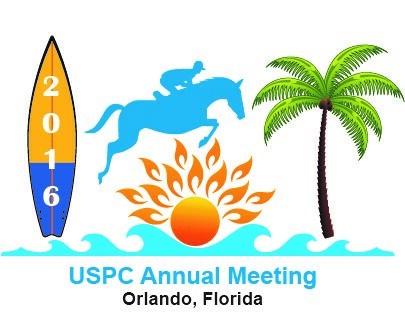 The 2016 Annual Meeting will be held February 4-7 at the Doubletree Universal, Orlando, Florida. Aug. 8-10, 2015, in Saugerties, N.Y. The USPC plans to again support a team to attend Lendon's Gray's Youth Dressage Festival this year. While the cost of this competition will be the responsibility of the competitor, the Dressage Committee is assisting with fundraising for entry fees and stabling costs. To qualify for the USPC team you will need to file a declaration of intent to compete as well as fulfilling the qualifying criteria. Please send this paperwork to Wayne Quarles, USPC Activities and Events Director, 4041 Iron Works Pkwy, Lexington, KY 40511 or fax to 859-233-4652. Do you know what is sitting up in your dusty, over-cluttered barn attic? It’s not what you think…you have cold hard CASH sitting up there waiting for you to dust it off and shine it up! Don’t have a place to sell it? Well, USPC can help with that! Check out Pony Club Classified ads. Whether it be that used saddle, that cute pony that you’ve outgrown, or if you’re really looking for a change you can list your Real Estate on our Classifieds page as well. Are you an instructor or clinician? You’re in luck, promote your services or clinics on our Classifieds page too! Maybe selling that old saddle could go towards buying a new saddle! Check out Pony Club Classified ads here! Each year, the Advisory Committee selects and presents to the USPC Board of Governors a nominee, or nominees, to receive the Founders Award. Persons eligible to receive this prestigious award must be living individuals who have been active volunteers in Pony Club for at least 20 years and who have served on the National level, either as a member of a National Committee or on the Board of Governors. Ideally, such a person should also have made a significant contribution to Pony Club in his or her Region or local Registered Club. The names of prior recipients of the Founders Award can be found in the USPC Directory. If you wish to nominate someone who meets these high standards, and has not yet received the Award, please follow this link to the application as the committee would like nomination forms in by July 1. Established by the USPC Board of Governors in May 2010, this 20+ Year Local Legend Award is intended to honor those who have faithfully served their local club, center and/or region for at least 20 years. Recipient will be recognized in an upcoming issue of Pony Club News (space permitting), following receipt of complete form. This form must be completed by a DC, JtDC, CA, ACA, RS or VRS and submitted along with $10 to USPC. This is a wonderful opportunity to thank those hard working volunteers in your area that support the clubs and region in so many ways. Click read more to the application and there is no deadline, this is a wonderful thank you/appreciation that is available all year long! Dressage Standards and Test Sheets, D-2 through A have been updated on the Pony Club website and the National Level Show Jumping Standards and Test Sheets, C-3 through A. Visit www.ponyclub.org to find out more. It's show season! Who needs new boot socks? Super fun and super cute! Pony Club Boot Sox are available in five striking colors (Khaki, Lilac, Pink, Yellow and Soft Blue) with the Pony Club logo pins patterned all over the sock. Be the envy of all your Pony Club friends by owning a pair in every color! Fits women's shoe sizes 5 to 10. When riding and training your horse, you need to have many options to make adjustments to your ride. Training is a progressive system and as you pick a tool, you test it and possibly abandon it and pick another to achieve your goals. This webinar is aimed at Pony Club members certified C3 and up, especially pursuing upper level Traditional and Dressage certifications. In addition to helping with your training, it will give you more 'tools' to use in your certifications and riding unfamiliar horses. Join this webinar by registering with your name and email address. FAQs about webinars can be found here and any questions about webinars can be sent to webinar@ponyclub.org. 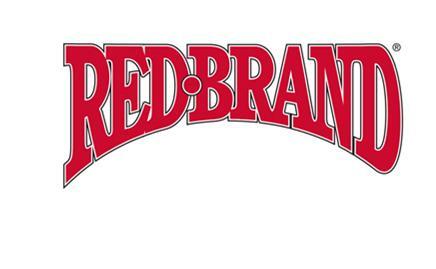 Trenna began eventing in 1974 with a Pony Club instructor as my teacher. In the early 1980s I organized Horse Trials and was the DC for the Whidbey Island Pony Club as well as instructor of the lower levels. Since then she has moved into Dressage riding through the FEI and coming up the levels to become a USEF Senior Dressage Judge. She is very involved in the USDF “L” Faculty who teach programs in dressage judging. Trenna has continued to coach Pony Club members and eventers in their dressage phase and several years ago, became a USPC National Examiner for the Dressage Specialty. I have enjoyed working with the great people involved with USPC in the development of the new Advanced USPC manual.